D’Angela Proctor is a rare senior level executive that can easily transition between both the creative and business sides of media. Her career spans from being an attorney, entrepreneur, show-runner, and Executive Producer to a network and studio executive. Most recently, D’Angela served as the Head of Production & Business Development of Codeblack Films, a Lionsgate Company. In her job capacity, she was charged with growing the company in the areas of global feature film, scripted television, unscripted television, and digital content production. There, she streamlined Codeblack’s development slate to focus on the Angela Davis, Doris Payne, and Master P biopics and select urban, literature-based projects. She spearheaded and negotiated a multi-picture deal with a major cable network for four of the company’s stagnant legacy projects. In the reality space, she co-created Small Claims Court in partnership with Lionsgate’s Alternative Programming Department and Black-ish’s Marsai Martin, the nation’s youngest Executive Producer. D’Angela will serve as an Executive Producer on the project. Prior to joining Codeblack, D’Angela served as the Head of Original Programming at TV One for 5 years. During that time, she maintained the creative and business affairs oversight of 44 original movies, 50 episodes of scripted comedies, 1000 + hours of news and public affairs programming, 240 hours of true crime & justice programming, 120 hours of reality programming, 5 NAACP Image Awards, and a host of other specials and programming initiatives. During her tenure, TV One programming earned seven NAACP Image Awards, a GLAAD Award, NAMIC Vision Awards, among others. D’Angela overhauled the programming strategy that led to a 47% gain in network revenue over three years and improved the network’s ratings performance by 36% in 2015, positioning it as a Top Cable Growth Network among competitors. 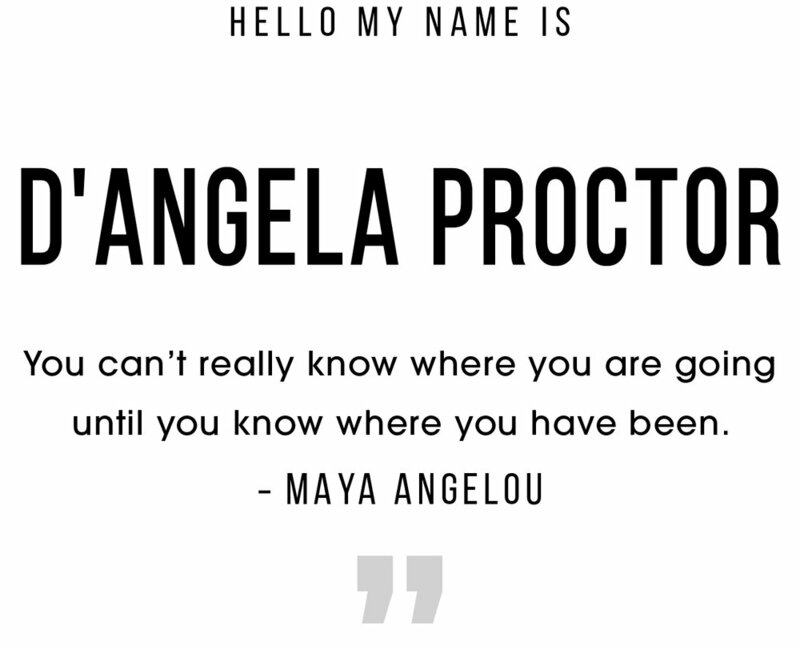 Before transitioning to a network executive, D’Angela was a veteran of music, film, and television production, having co-owned and operated Strange Fruit Media for over 15 years. There, she developed, created, and/or produced music videos, live music and comedy recordings, documentaries, feature films, and television series. In the film arena, she raised millions of dollars for independent film productions that included Book of Love: The Definitive Reason Why Men Are Dogs (sold to BET and Universal); Ride or Die (sold to Screen Gems); Hustle and Heat (sold to Lionsgate); and The Seat Filler (sold to Magnolia Pictures). In the television arena, D’Angela served as an executive producer and creative consultant to Black Entertainment Television from 2008 to 2010. During that time, she developed and/or executive produced multiple film and television projects, including Sunday Best, which earned the 43rd Annual NAACP Image Award for Outstanding Reality Series in 2011. She later created OWN’s first female-centric docu-reality series, Love in the City. Before entering the media business, D’Angela practiced labor and employment defense law at Reed, Smith, Shaw & McClay in Pittsburgh, Pennsylvania, where she litigated cases for clients in the banking, public utilities, and corporate sectors. D’Angela earned a Bachelor of Arts degree in Political Science from Spelman College and a Juris Doctorate and Master of Science degree in Leadership from Duquesne University.